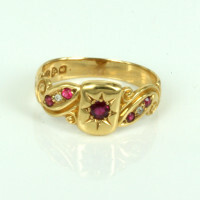 Product code: ES1822 Categories: Sold Items, Sold Rings. Just look at the design of this antique ruby and diamond ring – so attractive and unique with wonderful scroll work on the sides. 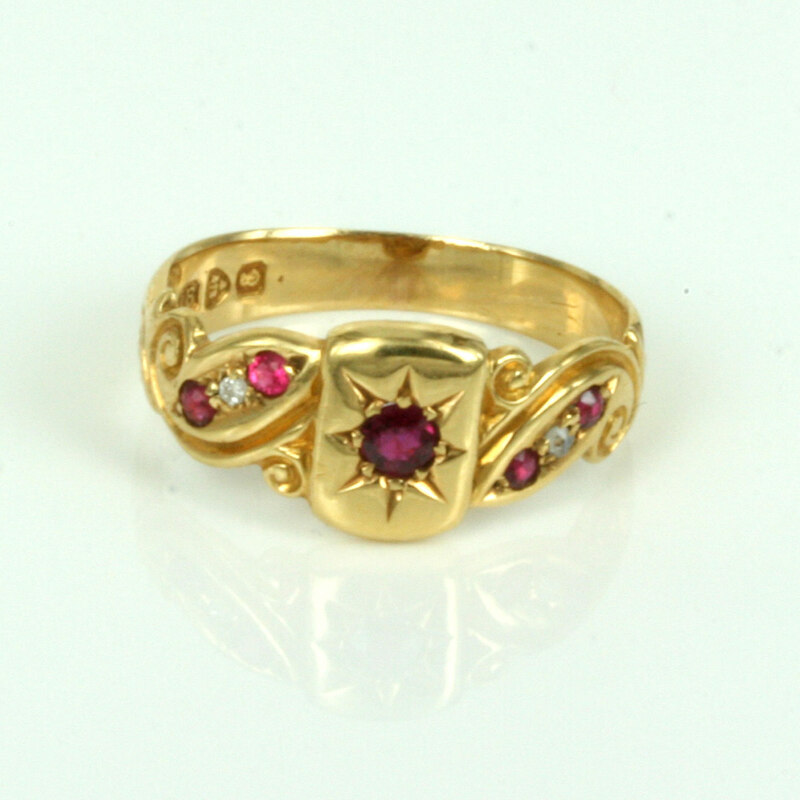 Made in 18ct yellow gold in Chester in 1905, this ring is set with 5 rubies that total 0.20 carats, and 2 diamonds that give this ring that extra bit of sparkle. Considering that this ruby and diamond ring is over 100 years old and still in fabulous condition, this is a ring to put on and wear with pleasure. A unique and stylish antique ring for any occasion.